Early Monday and still dark outside... but my day has started. 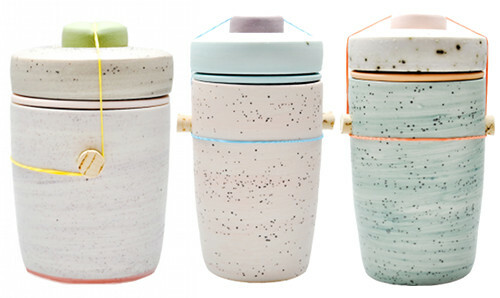 And as I prefer a coffee and a good read over some exhausting morning runs, I need to share this beautiful ceramic jars by Ben Fiess with you. They are the most incredible jars I've seen in years. 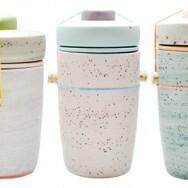 The designs show off a colour palette that makes me only want to drink more coffee. 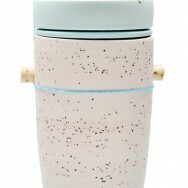 Made out of a four-part construction that uses two cork plugs and a contrasting rubber band to close the jar.